Dairy includes: Cow milk, powdered milk, cream, half and half, buttermilk, sour cream, whey, casein, lactalbumin, lactalbumin phosphate, lactose, and milk solids. Cultured milk products are butter, acidophilus milk, buttermilk, kefir, kefir cheese, sour cream, sour half and half, and yogurt. Common sources: sauces and gravies, batter fried foods, breads, cakes, muffins, puddings, cream, soups, ice cream, sherbets, and milk chocolate. What is Lactalbumin? Lactalbumin is a protein found in cow milk that is removed when milk is heated at high temperatures. If lactalbumin is the only reactive protein, one can tolerate evaporated milk formula or hard cheeses (Cheddars, Cheshire) as most of it is removed during processing. Mild cheeses often contain varying amounts of lactalbumin. What is Casein? Casein is another milk derived protein found in any food containing dairy. Caseinate is the salt form of casein(sodium, calcium, or potassium caseinate). Caseinates supply a creamy flavor and stabilize fats in non-dairy products such as coffee creamer, cheese sauce powder and bind water in processed meats and baked goods. Ingredients that do not contain milk protein: calcium lactate, calcium stearoyl lactylate, cocoa butter, cream of tartar, lactic acid, oleoresin, sodium lactate, sodium stearoyl lactylate. Sources of Whey: Whey protein powder, protein energy bars, imitation milk products, imitation sour cream, cream soups, soup mixes, most margarines, store bought cookies, pies and other baked goods. There are many other potential sources, please read labels to make sure foods do not contain any dairy or dairy derivatives. Pareve or Parve means dairy free to conform to Jewish food laws. Casein is the main protein in cheese with varying amounts of whey. Making cheese involves heating milk, treating it with acid/rennet or bacteria/yeast creating a new protein. Depending on the specific protein reaction, some may be able to tolerate different types of cheese. In general, the softness of the cheese and the aging reflects the degree of protein breakdown. Cheese high in moisture content( cottage cheese) contain more whey than cheese with a lower moisture content (cheddar). Processed Cheese: Not really cheese, but cheese with added colors, gums, and sugars. Here is a PDF version of this healing handout on Dairy Allergy. 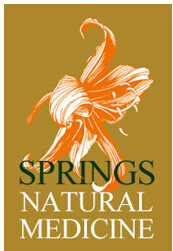 Contact Springs Natural Medicine today for any questions or more information.